There are 18 US states that allow non-medical vaccine exemptions due to ‘conscientious objector’ or ‘philosophical/personal beliefs’. 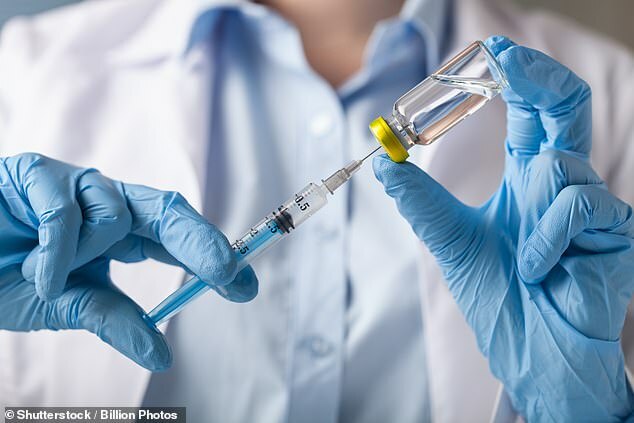 About 70 percent said common vaccines, such as for polio and measles, are ‘very important’, found the poll from Research America and the American Society for Microbiology. Others argue that vaccines overload a child’s immune system or that natural immunity is better. Experts say that, as diseases have become less common, people don’t remember a time from before vaccines were commonplace. ‘There are infections we haven’t seen in years or we can’t remember the last time we saw them,’ Dr Michael Angarone, an assistant professor of medicine at Northwestern University Feinberg School of Medicine in Chicago, told DailyMail.com in an interview last year. According to the WHO, measles – a highly contagious but easily preventable disease – has seen a 30 percent increase in cases around the world. The two central Asian countries were the only nations in 2018 where cases of wild poliovirus were confirmed – largely due to poor sanitation and low levels of vaccination coverage.